Welcome to the EGERA project! The project was completed at December, 31st, 2017. EGERA pursues both an ambitious and pragmatical objective by tackling the opacity of recruitment and appraisal procedures, gender bias in evaluation and practices which contribute to slow down women's careers. A Europe-scale project EGERA brings together 8 research and higher education institutions from 7 EU member states + Turkey. Actions to be undertaken by respective partners shall to be also understood as a whole EGERA shall communicate a spirit of innovation, transparency and openness EGERA will constitute a label of equality, fairness and excellence. 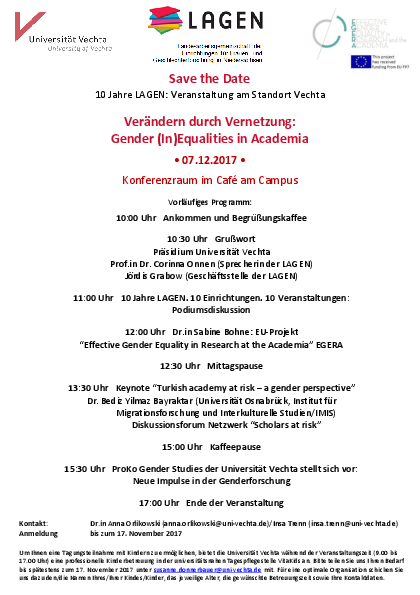 See the new publications: Recommendations to prevent and fight sexual harassment in academia and the Antwerp Charter on Gender-Sensitive communication in and by academic institutions. 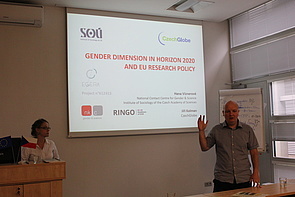 Global Change Research Institute of the Czech Academy of Sciences (CzechGlobe), as a work package leader in RINGO (Readiness of ICOS for Necessities of Integrated Global Observations) Horizon 2020 project consortium, provided consortium partners training dedicated on gender dimension in Horizon 2020 and EU research policy. 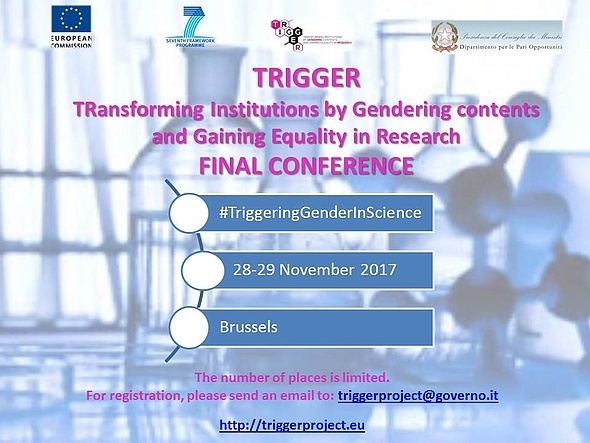 Even though the RINGO project primarily focuses on further development and fostering sustainability of the research infrastructure ICOS (Integrated Carbon Observation System), the gender dimension within the project implementation has been included into the project. The project partners had the opportunity to participate in the gender training provided by CzechGlobe in collaboration with the Institute of Sociology of the Czech Academy of Sciences (National Contact Centre for Gender & Science) in CzechGlobe headquarters on 13 September 2017. The training that was open also to the hosting institutions, participated colleagues from 7 countries including i.e. Vietnam. This international multidisciplinary environment provided very interesting perspectives on the issue. 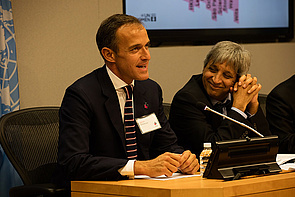 Frédéric Mion will represent Sciences Po and the EGERA community at the Second Impact 10X10X10 HeforShe event to be held in New york within the frame of UN General Assembly. 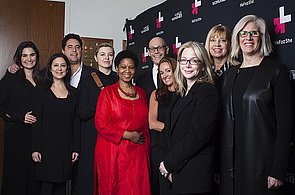 Marking its third-year anniversary, UN Women's HeForShe movement will convene its 30 IMPACT Champions - 10 Heads of State, 10 global CEOs and 10 University Presidents - part of the IMPACT 10x10x10 initiative to unveil solutions that have the potential to see gender equality achieved in our lifetime. On September 20th, 2017, these 30 titans of government, business and academia will reveal groundbreaking solutions that address critical policy issues, change the course of business leadership and the futures of our next generation. On the path to gender equality, IMPACT Champions will pause to share with the world not only the key obstacles they have faced but the innovative proven practices that they can now empower the rest of the world with. HeForShe is a global solidarity movement that provides a platform for men and boys to engage on gender equality issues. 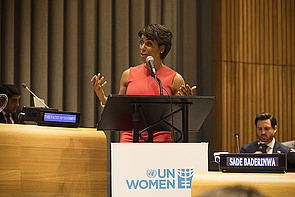 Since its 2014 launch, more than 1.7 million men and boys have signed on as catalysts for change. 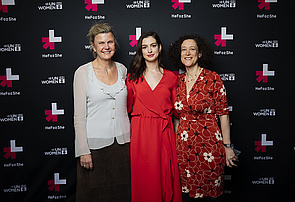 Special announcements will also be made regarding new HeForShe IMPACT Champions and new HeForShe Thematic Champions joining the HeForShe family. 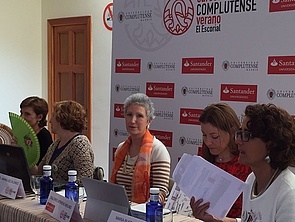 Participation of Maxime Forest (Guest speaker) to the Summer School of the Complutense University of Madrid, addressing sexual harassment at University (presentation of EGERA initiatives and participation to a roundtable). as the MS co-chair of the Helsinki Group on Gender in Research and Innovation, an ERA-related group advising the Commission and the Council, I would like to notify you that the HG published its Position Paper on Interim Evaluation of H2020 and the future Framework Programme. The paper calls for the continuation and reinforcement of provisions on gender equality and gender mainstreaming in R&I in the next FP, especially in evaluation, monitoring and capacity building. You can find the text of the position paper attached here.